Take one of the sport’s most artistic fighters, Muhammad Ali. With a slip of the head, the shuffle of his feet and twitch of his right shoulder he was able to floor larger, more aggressive boxers with poise and finesse. 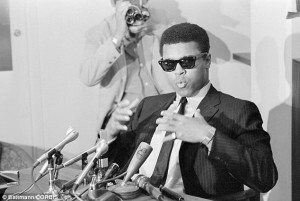 Why was Ali able to notch up 56 wins in 61 contests? The simple answer is his brain. As well as being quick of foot, Ali’s brain was lightning fast and that allowed him to counterattack before his opponent had even made a move. Much like a chess player, Ali could think many moves ahead of his opponent and that allowed him to slip punches with ease. In fact, in our fantasy match-up between Ali and Joe Louis, we gave the win to the Ali because of his speed. However, it’s his brain that allowed him to exercise that speed advantage. Anyone who knows about boxing will know that it’s a game of tactics and wit which is why the sport has been linked to chess in recent years. Thanks to the Dutch performance artist lepe Rubingh, chess boxing became a sport in 2003. The natural connections between chess and boxing soon made it a competitive endeavor for the physically and intellectually gifted. Known as a hybrid sport, chess boxing is now a very real thing with thousands of competitors taking part in events organized by local organizations as well as the World Chess Boxing Association. Founded in 2003 and presided over by Rubingh, the WCBA now hosts an annual World Championship that attracts players from around the world. Not only that, but mainstream sponsors like Eastpak have gradually started to jump on the chess boxing bandwagon in a clear indication of its increasing popularity. Following the inaugural World Championship in 2003 (which was won by Rubingh), a European Championship was formed in 2005 and there have since been champions from countries as diverse as Bulgaria, Germany, Russia and India. We think a boxing maestro like Sugar Ray Leonard would do well in a modern day fight against Manny Pacquiao. But how would he do in a chess boxing match organized by the WCBA? He would obviously dominate in the boxing portion of the contest but if he couldn’t score a quick knockout then he might struggle against a seasoned chess player. This is where the beauty of the sport lies. In fact, that’s the beauty of all hybrid sports. Taxing people on a multitude of levels is something that’s appealing to competitors and fans alike. Indeed, such is the popularity of hybrid sports that people are now fusing all kinds of games in an effort to satisfy their competitive urges. 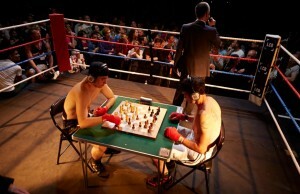 A recent example of chess boxing’s influence on the world of sport took place at the UKIPT Isle of Man poker event in 2015, part of an annual poker tour organized by online poker provider PokerStars. Once again using chess as the base game, American chess pro Jennifer Shahade showcased the game of roulette chess which she first created back in 2009 with Larry List. Taking on multiple players at once, chess wiz Shahade – who’s also a Mind Sports Ambassador for PokerStars – had to watch as her opponents spin a roulette wheel to determine the chess piece she had to move. This dynamic essentially forced her to make moves she wouldn’t have done normally and, therefore, gave her opponents a greater shot at winning. During the festival a number of poker pros, including Liv Boeree, who’s currently 18th in the England all-time money list, tested out the game and enjoyed the experience thanks to chess roulette’s combination of skill and luck. Coming from a poker background, Boeree is used to mixing it up with poker players of all skill levels and welcomed the challenge of chess roulette. 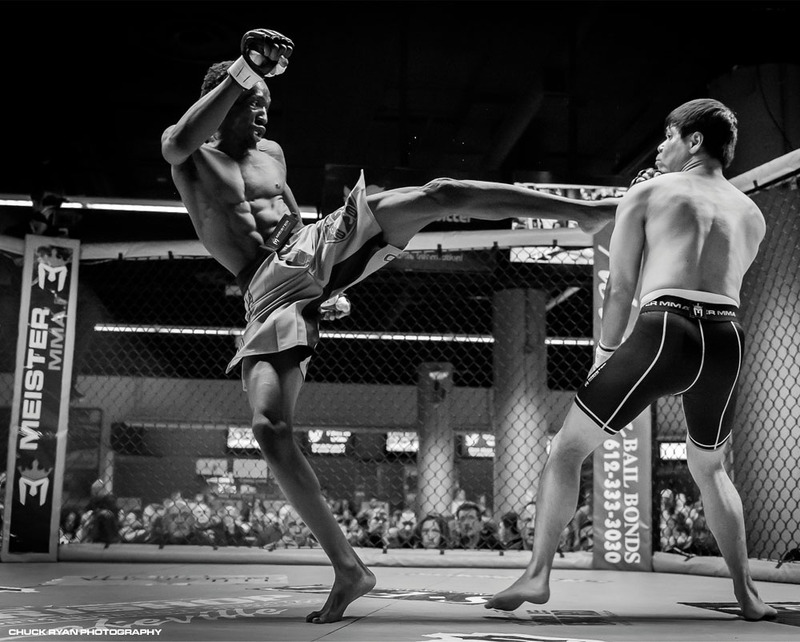 Another example of a hybrid sport that has a distinctly violent vibe in recent years is Mixed Martial Arts (MMA). A fusion of multiple fighting disciplines, MMA has been in various guises for many years (with early multi-discipline events known as vale tudo – Portuguese for “anything goes”); however, it wasn’t until the UFC (formerly the Ultimate Fighting Championship) burst onto the scene in 1993 that MMA got the recognition it deserved. It was created by Art Davie in collaboration with the Gracie family who wanted to prove that Brazilian jiu jitsu was the ultimate fighting form. 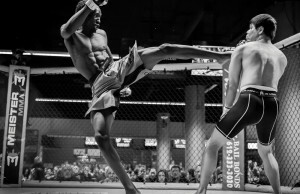 Using an eight-man elimination tournament format, the first UFC event saw fighters from all disciplines, including kung fu, karate, boxing and wrestling, step into a cage and compete. Today the UFC is the premier MMA organization with an estimated value of $1.65 billion and the top fighters are proficient in striking, grappling, jiu jitsu and everything else in between. Again, as with chess boxing, the fighters don’t have to be experts in a single field and can thrive by using a diverse combination of skills. As well as giving competitors of all skill levels a more even playing field to compete on, hybrid sports can also bring genders together. Korfball was invented in 1902 by Dutch teacher Nico Broekhuysen as a mix between netball and basketball. What Broekhuysen did was combine what was traditionally seen as a male (basketball) and a female (netball) game, so that both genders could compete on the same court. Today there are more than 100,000 players in the Netherlands alone competing in eight vs. eight matches (four men and four women) where the aim of the game is to score more baskets on the 3.5 meter high pole than the opposing team. You don’t have to be a pro fighter or Grand Master to become a chess boxing champion. Similarly, wrestlers with Olympic gold medals or world champion kick boxing champions aren’t necessarily elite MMA fighters as it’s often the all-round fighter who comes out on top. Of course, the downside to hybrid sports such as chess boxing is that they will always be seen as something of a novelty (this is a trend MMA has managed to buck). 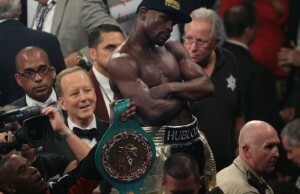 While established brands such as Eastpak have lent their support to the sport, it is not clear if we are ever going to see companies such as Tecate put up $5.6 million or Paramount Pictures pay in excess of $4 million to sponsor a bout like they did for Floyd Mayweather vs. Manny Pacquiao. However, that really doesn’t matter because chess boxing is mostly directed at the competitive amateur who likes to test themselves both physically and mentally. 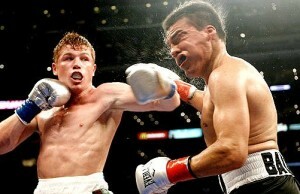 Boxing is as much about what’s going on upstairs (in your brain) as what’s going on in the ring. So, even if you’re not built like George Foreman or as powerful as Mike Tyson (as he demonstrated in 1995 against Pete McNeeley), you can still use your brain to thrive in the chess boxing arena.